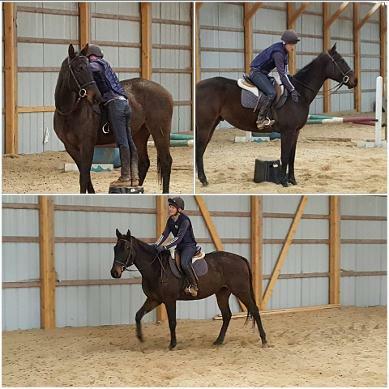 2016 - Joegun - "Hummingbird's Six"
2015 - River Clam - "Hummingbird's River"
We have been involved in the RRP Thoroughbred Makeover for several years, and have been retraining OTTBs and off track Quarter Horses for new careers for a decade! 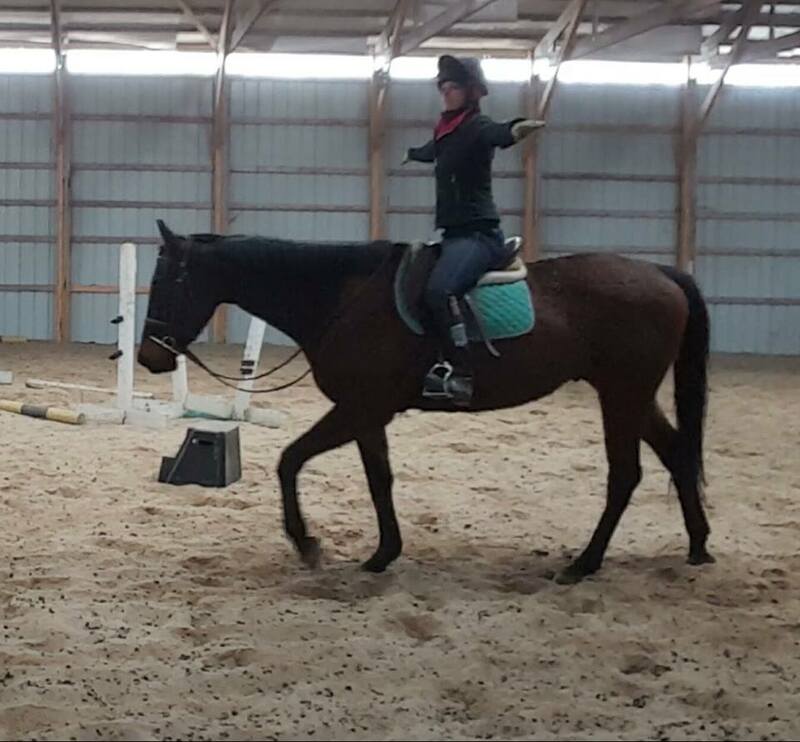 These horses make tremendous athletes, and Hummingbird Stables has had them go into everything from Eventing, Hunters, Jumpers, lesson horses, barrel racing, pleasure riding, and even western ranch riding out west! 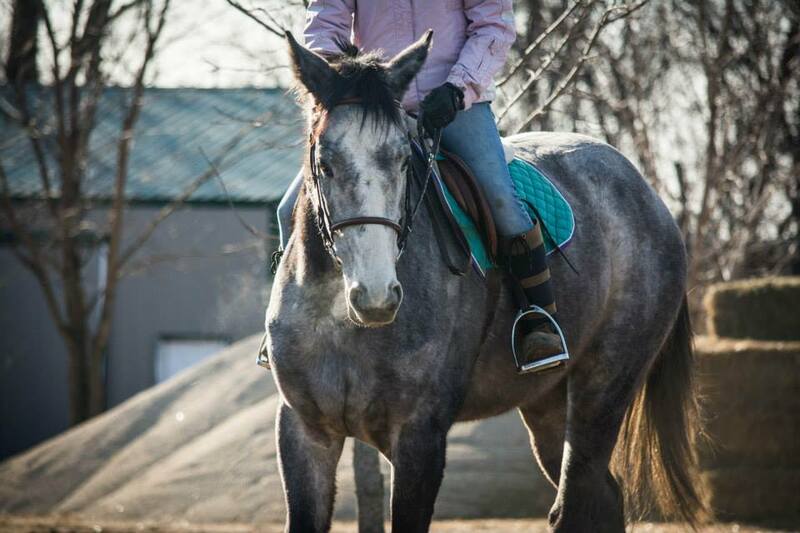 Send your OTTB for training with someone who understands the thoroughbred. Hummingbird Stables. Hi! My name is Hummingbird's River! 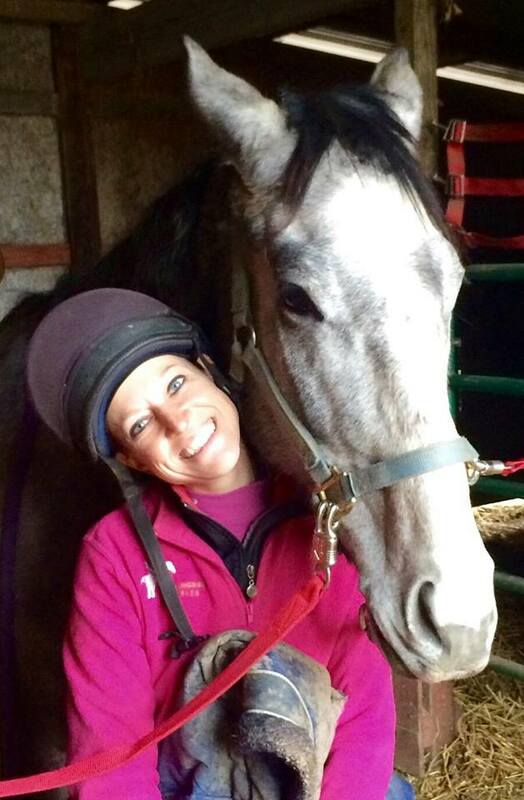 I came to live at Hummingbird Stables in Rochester, IL October of 2014, with trainer Amy Nelson, after a short racing career. 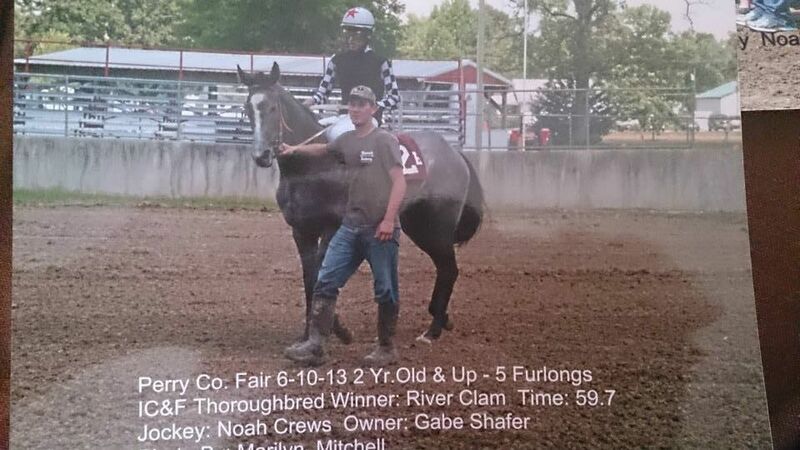 Under the Jockey Club name River Clam, I won a couple of county fair races ...in 2013 as a 2 year old...and then I tried my hand against the 'big boys' at Ellis Park (KY) and Belterra Park (OH), but apparently I stopped for a mocha halfway around the track, then took a nap, then finished the race. I WAS SLOW. I have put on post-race weight, had some down time, and now I'm ready to start my new career as an Eventer! So far I'm mellow, quiet, and the bottom of the pecking order in the pasture. I competed in the 2015 TCA Retired Racehorse Project Thoroughbred Makeover, and will continue my post-race career in Eventing. Watch for me at future events!